Pawleys Island Tree Service - Expert Tree Care, Tree Trimming, Tree Removal and More! Pawleys Island Tree Service are widely regarded as the best tree care experts in the Myrtle Beach SC area and beyond. We have been providing professional tree care and maintenance services for many years, and offer superior service at affordable prices. With a wide and complete range of tree services, we are the number one choice for residents and businesses when it comes to tree care. You will see us throughout the area, attending tending to trees in Murrells Inlet SC, Pawleys Island Sc, Surfside Beach SC, Litchfield Beach SC , and beyond. If you are looking for tree services in these areas, call us today at 843-310-4988, and we will be glad to help. No matter what size job we take on, we approach it with pride, passion, and a professional attitude. Your satisfaction is primary concern. We will look after you every step of the way. From the very first phone call to our office, to our tree care experts completing the job at your property, you can be assured of a quality tree care service which exceeds your expectations. We know that your requirements are unique, and we will adapt to the job accordingly. Once you have set us the goal, we will achieve it in an affordable, efficient manner, which will leave you more than pleased. 1. Superior Tree Care Experts – We have the best staff in the industry. Each one has years of knowledge and experience, and takes pride and passion in their work. 2. Regular Training – Pawleys Island Tree Service staff undergo regular training, to ensure that are up to date with new tree care techniques, use of equipment, and any local laws. This helps us to be the best tree company in Pawleys Island SC. 3. Affordable Prices – You will find that our prices are extremely competitive. Prices vary from job to job, and so we can offer you an obligation free quote when you call. 4. 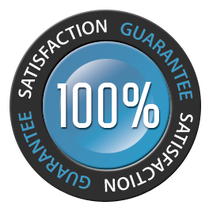 Satisfaction Guaranteed – We are committed to delivering the best tree care in the local area, and will not leave a job until you are 100% satisfied. 5. 24/7 Emergency Tree Care Service – In cases where storms or strong winds have caused trees to fall or lean, or where tree problems need to be fixed urgently, we are here to help. We operate a 24 hour emergency service for those times you are in need, and we can quickly send out a tree expert to your location to assess the situation. If you are looking for a tree service in Pawleys Island SC and the wider area, we are ready to help. Call us today at 843-310-4988, and one of our friendly experts will happily talk through through the range of services we provide. We can then either issue a quote, or send out one of our experienced tree care technicians to assess the trees on your property. We also have an online form you might like to fill in. Just complete the form with any relevant information, and one of our staff will get back to you. Our professional tree care service is available in Pawleys Island, Litchfield, Murrells Inlet, Surfside Beach, Myrtle Beach and all surrounding areas. Contact us today to learn more!